Skills for the Future trainee Jennifer Lightbody gives us an update on what June has brought for her Audio Visual project! 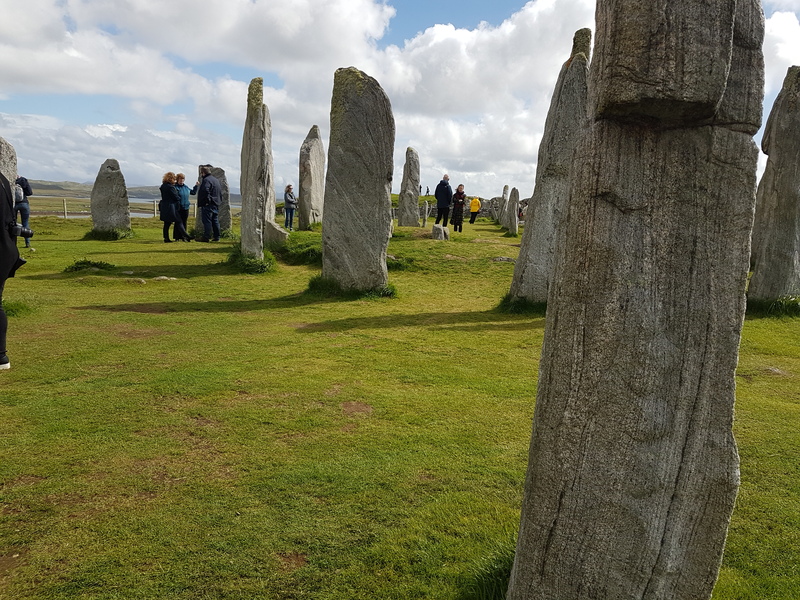 The highlight of this month at GSA has been a two day trip to Stornoway to the Community Archives conference, hosted by Tasglann nan Eilean Siar and the Scottish Council on Archives. One of my fellow trainees, Shona MacLellan, is based at the Tasglann and played a large part in organising the event for around 80 attendees. My cohort day visits for our group of seven trainees were considerably less daunting! Day one of the conference was held in the beautiful surroundings of Lews Castle, where the Archive is based. We heard from a number of organisations including the Archives and Records Association, Connecting Scotland’s Sounds Project from the National Library of Scotland and the Dumfries and Galloway Regional Ethnology Study, which collects oral histories from the people of D&G. 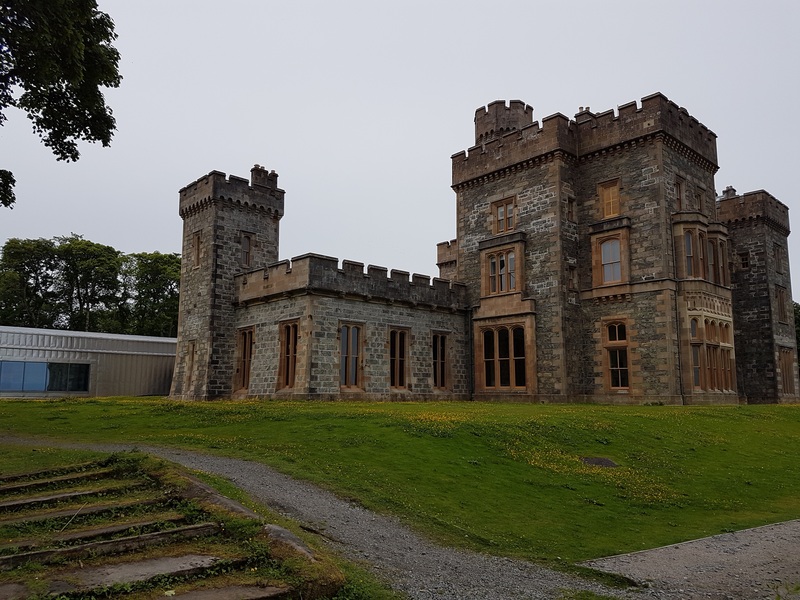 Lews Castle with the Archive to the rear. The most memorable presentations for me however were from Annie MacSween of the Ness Historical Society (Comunn Eachdraidh Nis), whose infectious enthusiasm shows why the Society is now celebrating 40 years in existence, and Shona talking about her work in the Tasglann. It was really interesting to hear more about the huge variety of work she has been doing, from conserving Harris Tweed documents, to describing her archives role and use of Gaelic at the local high school Careers Day, and of course meeting Nicole Sturgeon at the official opening of the Castle, Museum and Archive in March. The Tasglann blog is here. Specially commissioned paintings by Margaret Ferguson to mark the centenary of WWI. The conference was a great opportunity to meet new people from other archives and a brilliant advert for the Tasglann, Stornoway and Lewis as a whole. I even tried my hand at live tweeting during the conference (harder than I thought! ), which you can read here. The full conference programme and presentations are here, if you would like more detail. As well as the Stornoway trip, my calendar has been pretty full. 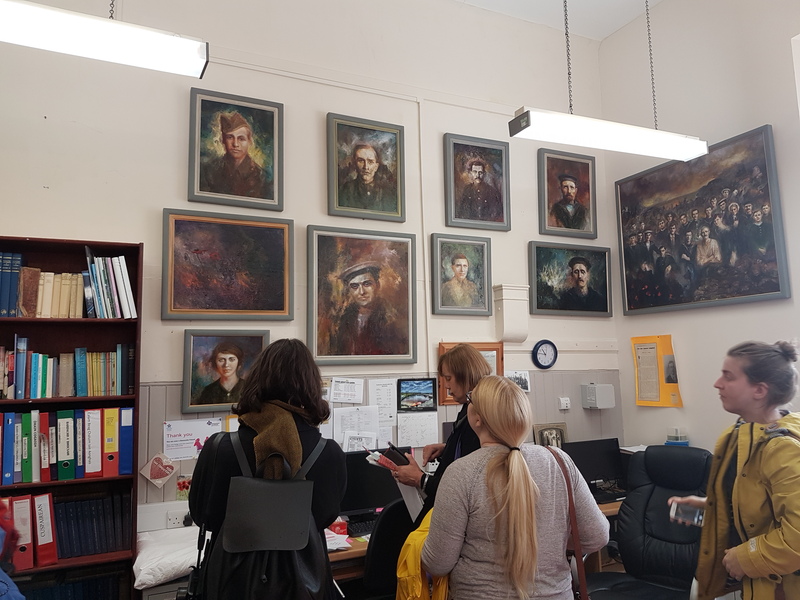 The Archives team visited the Preservation Department at the University of Glasgow Archives and Special Collections (UofGASC), where Ela Gorska-Wiklo hosted us. She set out a practical session for handling items and generating condition reports for letters and other items. It was very different extracting information about the document, to determine how it should be looked after, rather than extracting information from the document. 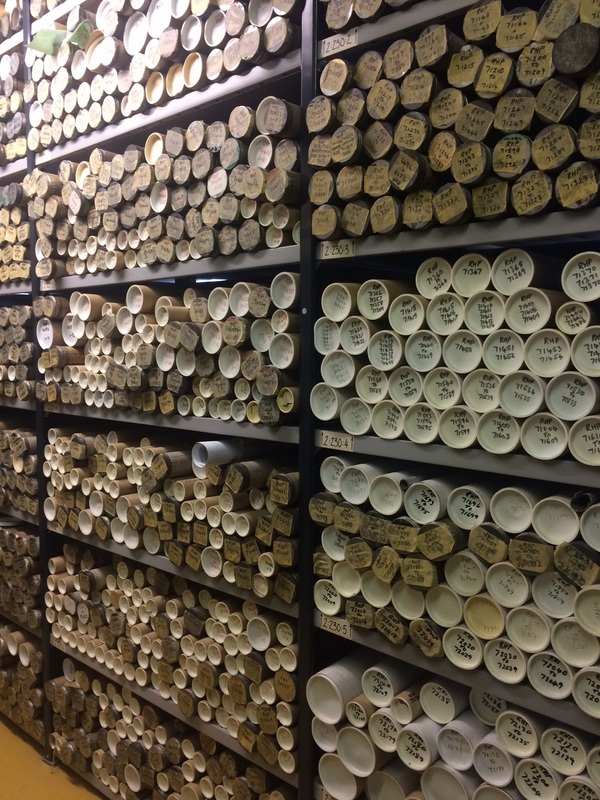 Ela also gave us a tour of the archive repository at UofGASC – I had done some work experience there last year, but hadn’t fully appreciated the vast extent of their collections. Locomotive plans held at University of Glasgow Archives and Special Collections. I recently held a staff session, to watch the fashion show films and capture information about the people in them and more generally on the shows themselves. This provided a huge amount of information, so the next step is to digest it all and identify items in our collection created by those in the films. Many thanks to the staff (both past and present) involved in the session for sharing their memories with us, and especially to Lyn McLaughlin for ongoing technical help! I have also been structuring the data gathered for incorporation into the catalogue, in accordance with the archive standard ISAD(G) description of elements for finding aids. Almost all the songs on the soundtracks have been identified and I have created a guidance document to summarise the project, for the team to use after I have finished my traineeship.